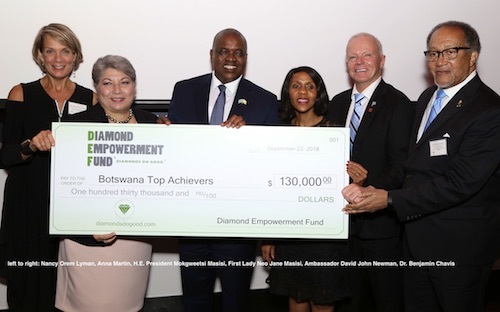 New York, NY—The Diamond Empowerment Fund (D.E.F) donated $130,000 to the Botswana Top Achievers Program, during a dinner reception with His Excellency President Mokgweetsi E.K. Masisi of Botswana. The presentation was made on the eve of the opening of the 73rd Session of the UN General Assembly. New York, NY – Jewelers of America (JA) has partnered with JM Insurance Services LLC (a wholly-owned subsidiary agency of Jewelers Mutual Insurance Group) to offer competitive workers compensation insurance rates exclusively for JA members. The new benefit will allow JA members to protect their business and employees when illness or accidents strike. If an employee gets hurt, becomes sick, or dies due to their job, workers compensation insurance provides coverage that includes medical care costs, rehabilitation treatments, lost wages, and death benefits. JMIS Workers Compensation coverage is underwritten by AmTrust North America, a national insurance carrier with an “A-” (Excellent) FSC “XV” rating by A.M. Best. The company provides a broad suite of insurance products including workers’ compensation coverage for small- and medium-sized businesses. JA members can request a quote for workers compensation coverage here. Media Excellence: Brecken Branstrator, National Jeweler; Will Kahn, Town & Country; and Michael Thompson, International Watch. 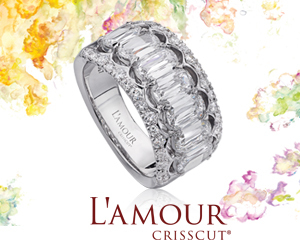 Retail Excellence: Broken English, Los Angeles and Newport Beach, CA and New York, NY; Cellini Jewelers, New York, NY; and Threads, an online boutique found at threadsstyling.com. The 2018 GEM Awards will also honor Rolex’s Stewart Wicht with the prestigious GEM Award for Lifetime Achievement. 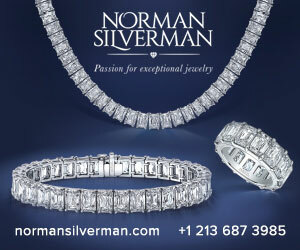 For more information, visit www.jewelers.org/gemawards. London, UK—De Beers Group, in partnership with United Nations (UN) Women, is pleased to announce the launch of a three-year capacity-building program to improve the livelihoods of more than 1,200 women micro-entrepreneurs in Botswana, Namibia, and South Africa. The program is designed to equip women micro-entrepreneurs with business and management skills to build their capacity to operate and grow successful small businesses. It will focus on providing training about business concepts such as accessing markets, increasing market share, generating income, creating jobs, and supporting effective decision-making, communication and negotiation skills. The program is part of De Beers Group’s three-year partnership with UN Women, which includes a US $3 million investment to advance women and girls in De Beers Group’s diamond producing countries, announced in September last year. Separately, De Beers Group also is providing scholarships to young women and girls in Canada to pursue studies in STEM (science, technology, engineering and mathematics). To date, eight university scholarships have been awarded, with the aim of a further 19 multi-year scholarships by 2020. De Beers Group also sponsored a summer science camp at the University of Waterloo for 13- and 14-year-old girls from indigenous communities near the company’s Gahcho Kué mine. As a UN Women HeForShe Thematic Champion, De Beers Group has also committed to achieving parity in the appointment of women and men into senior leadership roles in its own organization, as well as ensuring the company’s brands are a positive force for gender equality through all its marketing campaigns. In the past 12 months, the company doubled its appointment rate of women into senior positions, to 51% of new senior hires. A set of new inclusive marketing guidelines has also been developed, and highly successful campaigns have been run by consumer brands Forevermark and De Beers Jewellers, featuring real women. Visit www.debeersgroup.com/standingwithwomen for more information.